Preheat oven to 450 degrees F and lightly spritz a 9.5 inch pie pan with non-stick spray. Grate potatoes and measure out 3 cups. Then transfer to a clean towel and firmly squeeze out excess moisture. Add to pie dish and drizzle with melted vegan butter and 1/4 tsp each salt and pepper. Toss to coat, then use fingers press into the pan and up the sides to form an even layer. Bake for 22-27 minutes or until golden brown all over. Set aside. While crust is baking, prep veggies and garlic and add to a baking sheet. Toss with 2 Tbsp olive oil and a healthy pinch each salt and pepper and toss to coat. Place in the 450 degree oven with the crust. When you take out the crust, lower heat to 400 and continue baking until soft and golden brown (a total of 20-30 minutes). Set aside and lower oven heat to 375 degrees. To prepare tofu filling, add drained tofu to a food processor with nutritional yeast, hummus, and a heaping 1/4 tsp each sea salt and black pepper. Set aside. Remove veggies from oven, add to a mixing bowl and top with the tofu mixture. Toss to coat, then add to the crust and spread into an even layer. Bake quiche at 375 degrees for a total of 30–40 minutes or until then top appears golden brown and firm. If the crust begins to get too brown, loosely tent the edges with foil. Let cool briefly and then serve with fresh herbs or green onion. Store leftovers loosely covered in the fridge for up to two days. Reheat in the microwave or in a 350 oven. 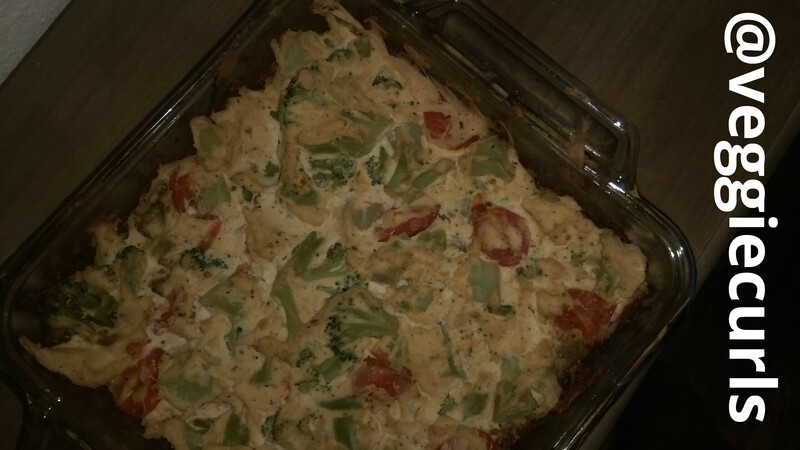 Posted on April 23, 2015, in Recipes, Vegan Life and tagged gluten free, tofu, tofu quiche, Vegan Recipe. Bookmark the permalink. 1 Comment.